← Winter is back – so here is a great soup to keep you warm! Last year Mr Mac made me a herb trough from some old scaffolding boards he acquired. 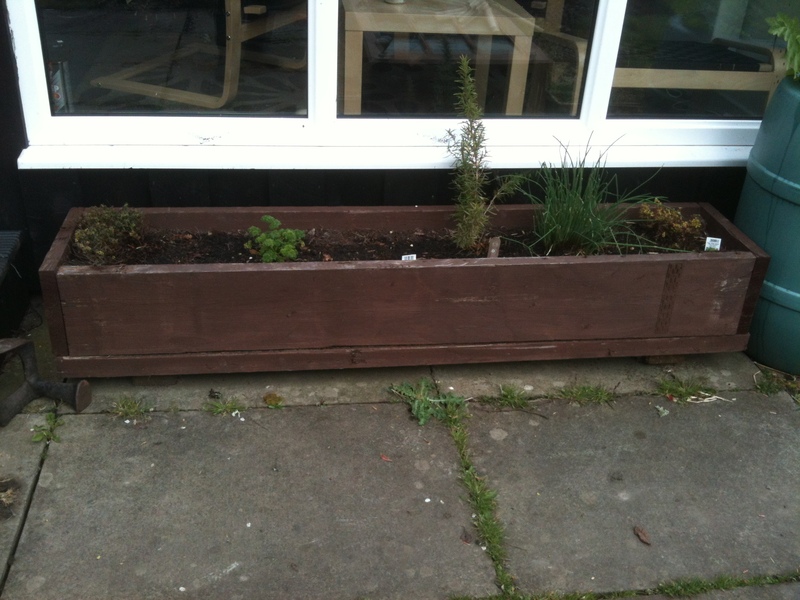 I painted it with some fence paint and planted lemon and golden thyme, marjoram, rosemary, parsley and chives. I have just cleaned out the old leaves and twigs and given all the plants a tidy. 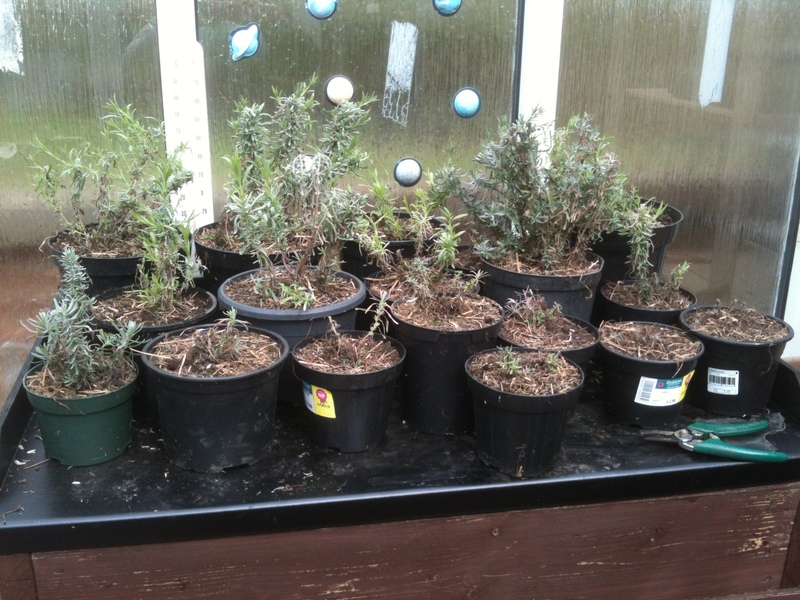 I seem to have lost the marjoram though – it’s gone. The rest look quite woody and straggly but there is definitely new growth so hopefully they will all come back. 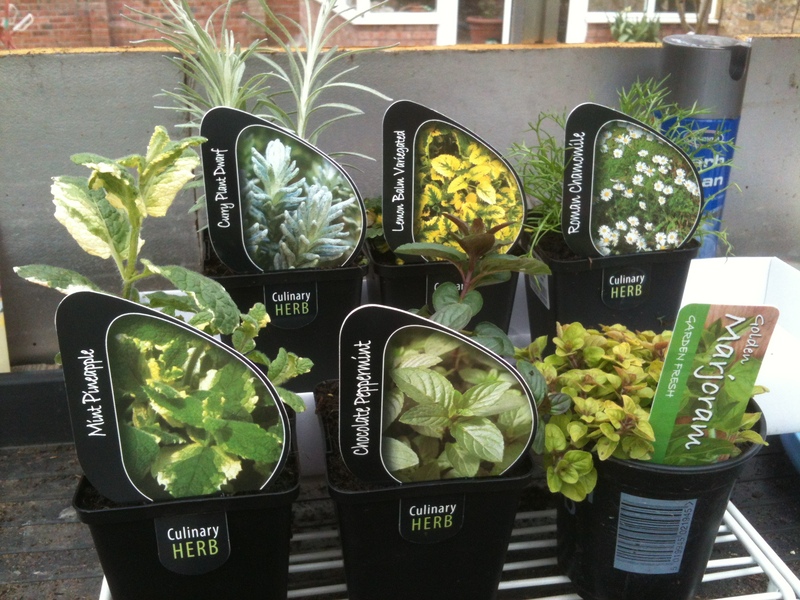 Then I remembered it’s Dougal’s Discount Wednesday at my local garden centre so I popped down and bought these new herbs – curry plant, lemon balm, roman chamomile, mint pineapple, chocolate peppermint and marjoram to replace the one I lost. 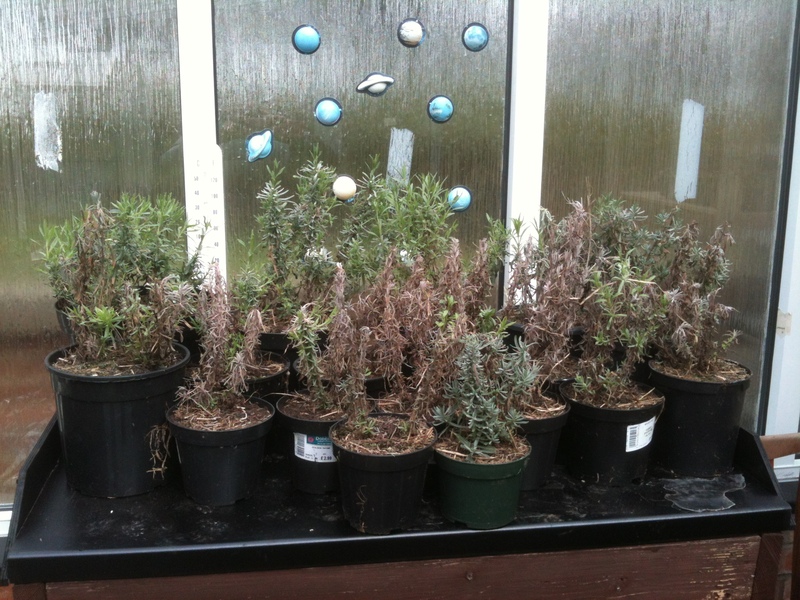 Six plants for £9 plus Dougal’s 10% discount – a bargain! I also grow ordinary mint but keep this in its own pot as it is very invasive. I have planted sweet basil and lemon basil seeds which I use for both cooking and as companion plants for the tomatoes and I might try growing coriander from seed – I am still thinking about it. A friend of Mr Mac’s brought us some chilli plants and herbs last year, one of which was coriander. Neither Mr Mac or myself are big fans of coriander (due to an incident in Goa in 1994!) but it was a gift and it seemed to grow quite happily in the greenhouse. Eventually I felt compelled to do something with it and as I had loads of carrots ready I decided on the old standard, carrot and coriander soup. The soup was made and I tasted it and tasted it but no hint of coriander. I kept chopping it up and throwing in more and more but still not a hint of coriander. At the time we had a heating engineer working on the stove in the kitchen and he fancied himself as a bit of a chef. I asked him what he thought and where I was going wrong. He had a taste of the coriander and promptly killed himself laughing.The reason I could not taste the coriander was because it was flat-leaf parsley! The soup was still lovely, although very well garnished. Last year I tried growing lavender from seed. The lavender was successful and it even flowered at the end of the summer. I had plans for a lavender hedge beside the deck where we sit on sunny evenings but I was so precious about planting it out and losing it over the winter that I left it in the greenhouse. Mr Mac covered it all in straw to protect it and it seems to have survived. Fortunately, this week’s issue of Amateur Gardening magazine has a section on pruning shrubs. Apparently the lavender should have been pruned after it flowered last summer. This allows time to develop new shoots which will carry buds for this year’s flowers. It does say that any old, dead flowering stems should be cut out but not to cut into old wood. This is where I get confused and I do not know what that means. Some of my plants look as if they are dead. Others are partly dead but with lots of new leaves and a couple are full of new growth. I can’t work out what is “old wood” and “new wood” though. So this is what I have done. I cut off all the old dead bits right down to the base. Where there was a dead stem but with new leaves at the end, I cut off about a third of the new growth. Where the whole stem was new growth, I cut off about a third. I hope I have not damaged or killed them. I will wait a few weeks and if they look alright I will plant them out. I have sown some more seeds this year, just in case. Here is what they looked like before and after! This entry was posted in Herbs and tagged Amateur Gardening Magazine, chives, chocolate peppermint, coriander, curry plant, food, gardening, herbs, lavender, lemon balm, marjoram, mint, mint pineapple, nature, parsley, pruning, roman chamomile, rosemary, shrubs, thyme. Bookmark the permalink.